Can God have a Son? Can Christ have a Son? 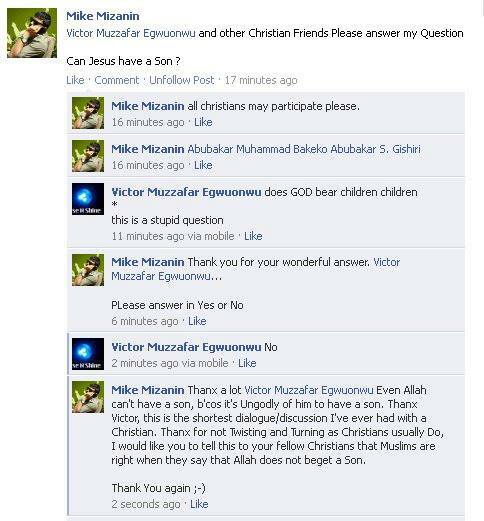 Here are some pretty interesting answers to these questions by some Christians. I’d like to invite some comments about these answers or some new answers on this question by our Christian brothers and sisters. Lastly, I’d like to thank our Facebook page manager, Sr. Nasrin for procuring this screenshot – yes, we have women who work with us, Alhamdulillah.